It has never been easier to be a globally connected educator. With Twitter, Skype, Facebook, and Google+, it is possible for teachers to foster connections and share ideas with fellow educators the world over. 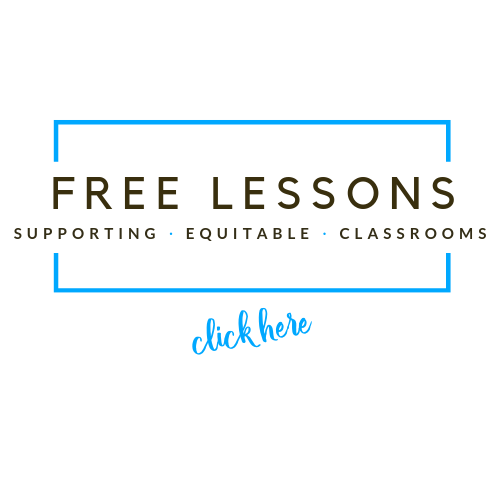 As teachers today scour the globe for new ideas to improve the learning experiences of their students, it is a time where the selfless sharing of expertise is highly esteemed and considered the ultimate mark of a connected educator. With Nearpod, a new dimension has been added to this sharing experience: not only can teachers now connect with one another by using social media platforms, but they can create powerfully engaging interactive presentations and share them with anyone, anywhere in the world in real time. Nearpod takes the traditional lecture and personalizes it. With the ability to present, quiz, poll, and interact with ease, teachers can captivate audiences and enter into interactive dialogues. Nearpod marks a new high point in the democratization of education. Now any educator, anywhere in the world has the platform to have his or her voice heard and shared; one only needs a connected device and a good idea. As connected educators, we always look to create opportunities to engage globally. Divided by distance (I live in Germany and Jennifer lives in the US), we must think creatively about how to collaborate and share effectively. At a recent Florida educational conference, though located on two separate continents, we worked together to co-present a session on Collaborative Learning Spaces to a group of 70 educators. Using Skype combined with Nearpod, I was able to join from Ulm, Germany, and provide an interactive experience that left teachers with practical ideas to try out in their own classrooms. 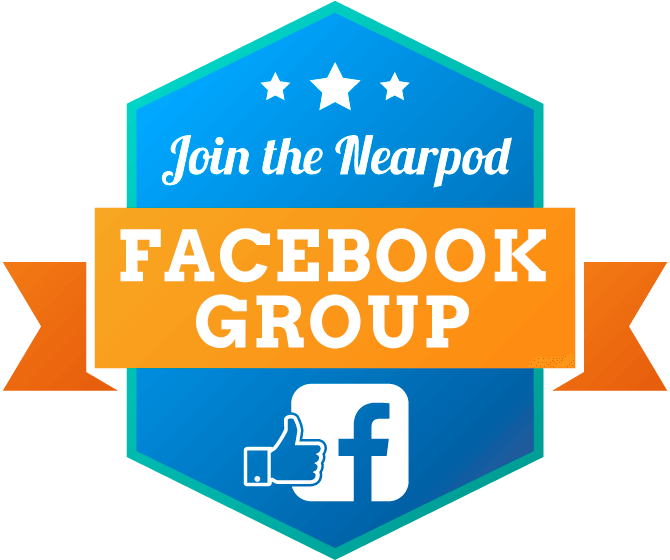 Once the participants logged onto my Nearpod presentation, they were shown photographs of two very different learning spaces and asked, “In which classroom were students happier?” They voted for their preference using Nearpod’s polling system. The audience was engaged by being given a platform to voice their own opinions. I shared sites of interest and introduced secondary literature by integrating weblinks into the Nearpod presentation. The great benefit of using Nearpod in a conference setting then is that attendees are presented with multiple ways of participating. The presenter can ensure that the audience is actively engaged and thus heighten the chances of individuals learning something valuable and practical. Nearpod provides an interactive platform for sharing presentations with students of all ages. Recently, I used Nearpod and Skype to give a Guest Lecture on Being an Internationally-Minded Educator to Eoin’s students. Over the course of the hour, I used the interactive features of the Nearpod presentation to engage the students in the discussion. Following the lecture we reviewed data provided on the Nearpod presentation report. Eoin gave follow up lessons with the students in the class to connect the global presentation to class topics. 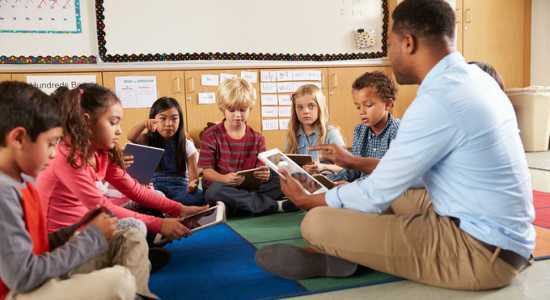 Nearpod served as a primary connection and collaboration tool that sparked conversations and projects that have continued to flourish. 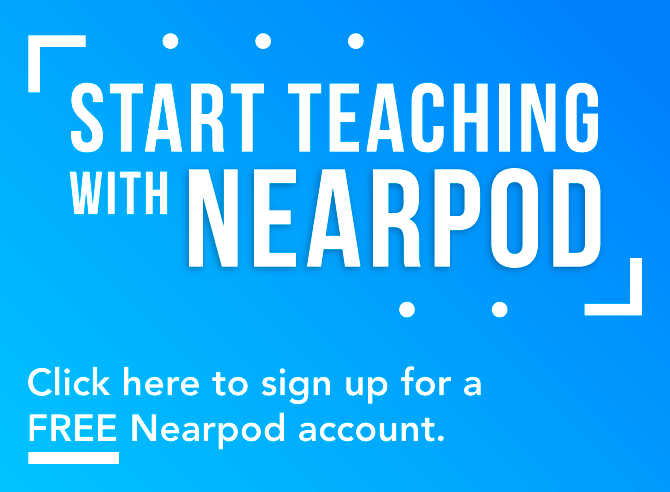 Here is our step- by-step guide to using Nearpod to connect with classrooms, teachers, and students around the world! 1. PLAN: The first step to create a global learning experience using Nearpod is to schedule a time with your international friends. Consider time zones and pick a time that will work best for both classes. 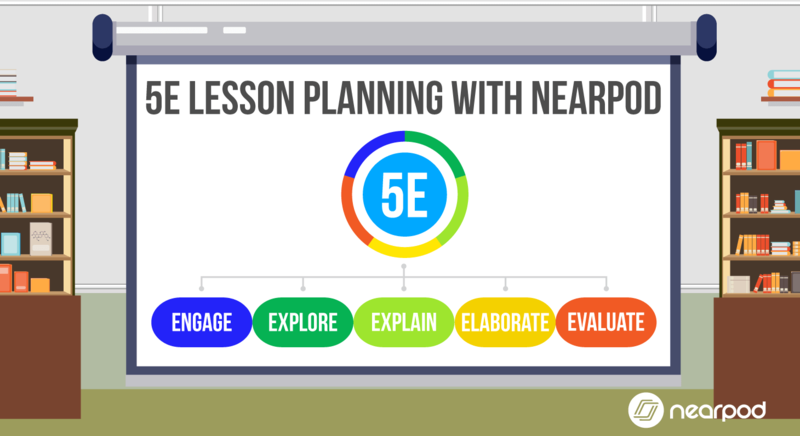 Give both classes and teachers time to prepare and promote leading up to the Nearpod session. 2. CREATE: Work together to create your digital presentation. Collaborate on a Google Slides presentation, import a powerpoint or pdf into Nearpod, or create slides on the Nearpod platform. Then add interactive activity slides, such as Open Ended Questions, Polls, and Draw It slides. To increase engagement, use video, audio, and live Twitter streams! 3. PREPARE: Prepare with your students by researching both the location of your global friends and the topic to be shared. Download the Nearpod app to your mobile devices and share your videoconference accounts with your global friends. Skype and Google Hangout are two great options. 4. CONNECT: Both classes can show the videoconferencing stream on the classroom television or interactive whiteboard. 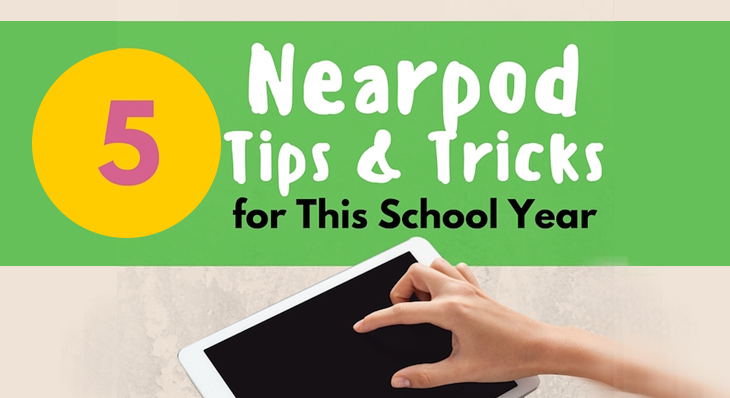 Students can access the Nearpod presentation on their devices (tablets, laptops, desktops, or phones). 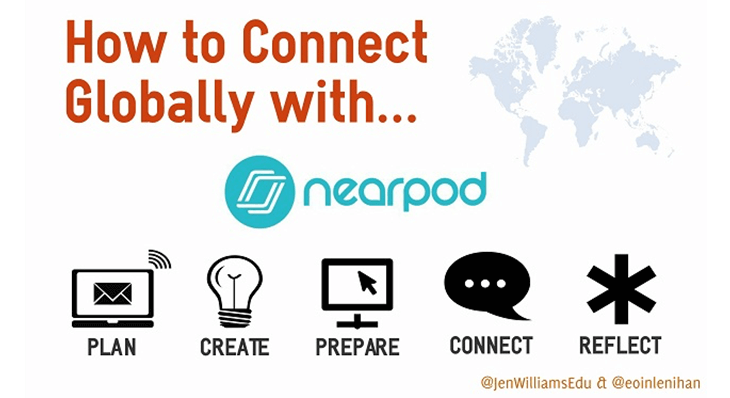 Launch a “Live Session” on Nearpod and share the PIN to sync your globally connected classrooms. 5. REFLECT: Engage in purposeful conversations with your students on the benefits of using multiple forms of literacy for global collaboration and creation of content. Highlight the importance of communication with diverse populations and work to define world citizenship. For formative assessment, access the post-session Nearpod report on your teacher account. With a global context for learning, educators are continually searching for practices and technologies that will allow them to bring the world to students and bring students to the world. 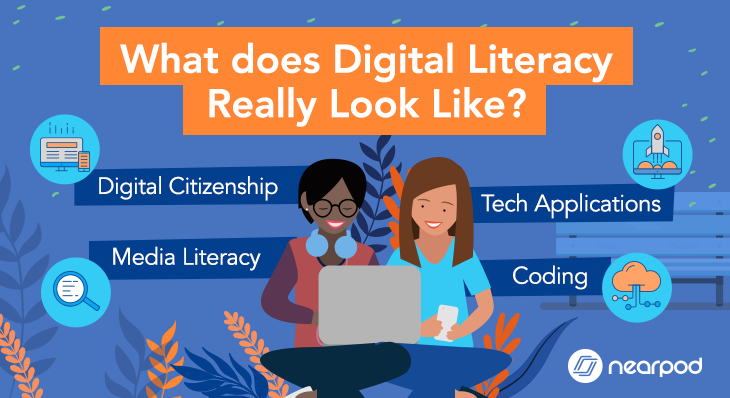 The combined use of innovative methodologies and interactive tools can create pedagogical pathways to digital literacy and global connectivity. By pairing Nearpod with videoconferencing, teachers can powerfully engage students in international conversations and collaborations. Check out this video to view Eoin and Jennifer’s globally connected collaboration. Eoin is a lecturer of Pedagogy at the University of Augsburg, Germany, where he is currently reading for his Doctorate of Philosophy. He has taught at the International School of Augsburg and the Bavarian International School in Munich where he became a practitioner and advocate of Inquiry teaching and learning. His research and teaching focus at the university is primarily on Internationally-Minded Education, that is the habits of mind and practices that can best prepare our students for life in the 21st century. Eoin is a co-founder of the #FutureEdChat which aims to connect future, new, and mentor teachers of the world. As the co-founder and lead program developer for Calliope Global, Jennifer Williams works with schools, universities, and organizations from around the world. Through her vision of providing authentic opportunities for international collaboration and relevant learning with use of advanced teaching practices and latest technology, she champions teachers and students to prepare for their futures in a world that will prioritize creativity, innovation, and exploration. Today, she speaks, writes, and consults on educational practices that develop global perspectives through creative uses of technology and collaborative learning spaces. Jennifer is a Nearpod PioNear, and she also the co-founder of EdCamp Tampa Bay, #Read4Fun Chat and #FutureEdChat.